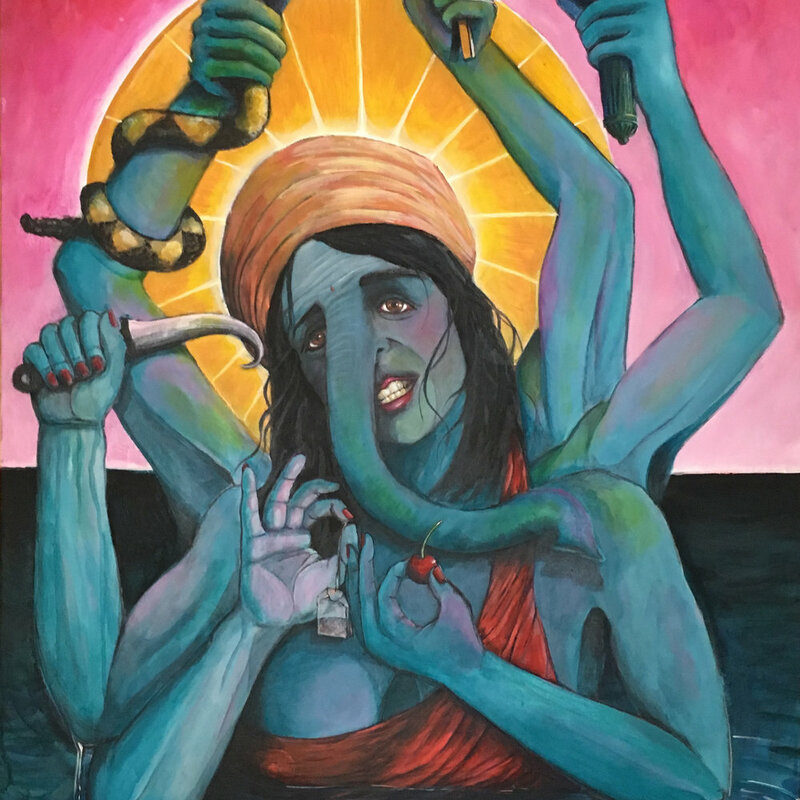 Nimrata Randhawa, Acrylic on Canvas, 48" x 24"
Directions: From the SC State House, take US 1 (Gervais St.) east. Turn left on Bull St. Turn right on Richland St. Turn right on Henderson St. Studio is located on ground floor of blue house on corner of Richland St. and Henderson St.